The steady, annual increases to federal interest rates have business and retail banking customers nervous. After a recession period of interest standstill—stretching from mid-December 2008 to mid-December of 2015—rates have slowly crept back up, increasing incrementally every year since 2015. Last year, the Fed picked up the pace. Even as the market turned sour, the Fed held to its schedule of four 2018 rate hikes, the most rate increases in a year since 2006. Those in the market for homes feel pressure to lock in mortgage loans before the Fed makes its next move. Business owners are seeing their monthly loan payments increase with prime. “Prime” is the rate typically charged to the strongest credit customers. While many business customers have strong financials and make timely payments, prime is generally reserved for customers with both clean histories and long, proven track records of paying on time. Think Fortune 500s—large cap companies with decades of solid credit history. Loans are tied to the spread over prime. Because of the close relationship, loan products are almost always affected when federal interest rates go up. Of course, your loan structure is what determines whether your existing loan payments will increase. For instance, a fixed-rate loan will not change with federal rate increases. However, a variable rate loan will fluctuate with the market. You should expect to see a direct correlation between federal rate increases and your monthly loan payment. These interest rate bumps general happen abruptly—within a day or two of the federal announcement. There are no set regulations on how banks need apply federal interest rates to their pricing structure. However, customers of any bank should expect to see changes to one or more of the bank’s products. In general, loan customers see a more direct, immediate effect than deposit customers. Deposit rate changes happen more gradually. You may not see any major rate changes for weeks or even months—if at all— after a federal interest rate announcement. Like gas stations, banks also factor in local competitor pricing (interest rate changes of nearby banks) to gauge rate environment. Less volatile deposit accounts, such as certificates of deposits and savings accounts, usually see the largest interest rate increases. At 5.5%, prime interest rates are still at historic lows. While rates are not as low as they were in 2008, the economy is also much stronger. The drastic change in unemployment itself is cause for celebration. To put today’s 5.5% prime interest rate into perspective, there was a time in 1984 when prime interest rates were as high as 13%. Just thirteen years ago, they rose to 8.25%. Low interest rates have been the norm for the last decade. An entire generation of customers have never experienced interest rates this high—and rising. For current loan holders—and those in the market for a new car, mortgage, or business loan—this new reality feels foreign and alarming. After all, we fear most what we don’t know. However, revisiting your personal or business budget to factor in the monthly payment increases can help alleviate initial stress. The economy will continue to change. The most successful businesses, and personal budgeters, are those quickest to adapt. 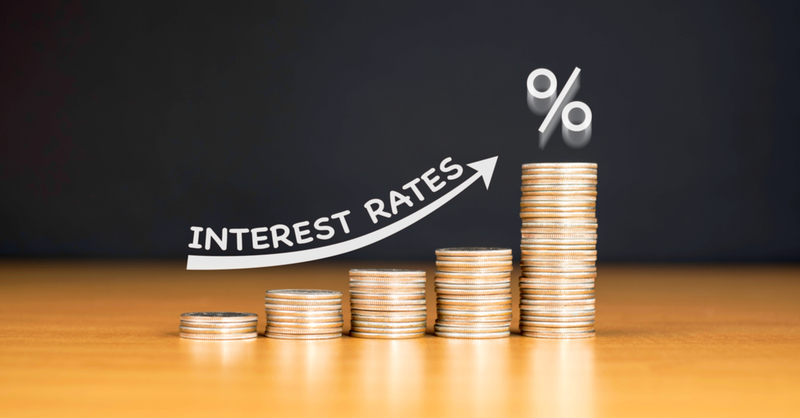 Read last week’s article to learn about the latest interest rate forecasts for 2019.